Attractive poolside condo opposite beach. Property 2: Attractive poolside condo opposite beach. 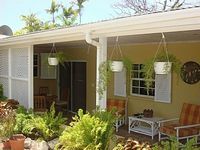 Charming Cottage in Rockley, under 5 mins walk to gorgeous Accra Beach!!! Property 7: Charming Cottage in Rockley, under 5 mins walk to gorgeous Accra Beach!!! Golf & Beach - 230 Golden Grove, Rockley Golf Club BARBADOS. Lovely 1bed Condo!! Property 21: Golf & Beach - 230 Golden Grove, Rockley Golf Club BARBADOS. Lovely 1bed Condo!! Peaceful oasis of tropical art & plants close to golf, beaches & shopping. Property 27: Peaceful oasis of tropical art & plants close to golf, beaches & shopping. 1 Bedroom Condominium within walking distance of the beach. Property 34: 1 Bedroom Condominium within walking distance of the beach. Studio Flat to sleep 3 in Barbados. Balcony and views over golf course. Property 36: Studio Flat to sleep 3 in Barbados. Balcony and views over golf course. 3 Bedroom Townhouse with walking distance of great beaches! Property 49: 3 Bedroom Townhouse with walking distance of great beaches! My girlfriend and myself stayed at Charles and Maria&rsquo;s apartment for a beautiful week in April. A lovely couple that we had the pleasure to meet. They gave us our privacy and allowed us free reign of the property. We had everything that we needed. Our apartment was clean, shower water was warm, air conditioner was cool and bed was comfortable. We were located a brief 5 minute walk to the main road where we were only another 10 minute drive to either Oistins or Bridgetown. All along the way were beautiful beaches, and where we were met with so many great friendly and helpful locals. As many other guests have made mention to, we also found that the 3 dogs and turtles were a welcomed addition to our stay. Very playful and friendly. It was very nice to be able to have breakfast &amp; coffee by the pool. We would certainly recommend for anyone travelling as a couple. Everything in Jacqueline's condo was perfect. It was clean, well maintained and the kitchen was very well equipped. It had a full fridge with ice maker that we made use of. The king size bed was very comfortable. The area on Brown's Gap was very quiet and a short walk to everything we enjoy in Hastings (restaurants, the boardwalk, Rockley Beach and Lanterns). The pool was well maintained and quiet. Jacqueline was very friendly and helpful. She checked in on us to make sure our time at the condo was enjoyable and that we had everything we needed. We highly recommend the condo and will definitely return.